When Gustavo Alvarez was 18, he was sent to prison for the first time. When he arrived, a group of guys from Gustavo's old LA neighborhood took him to a common area and sat him down at a table. 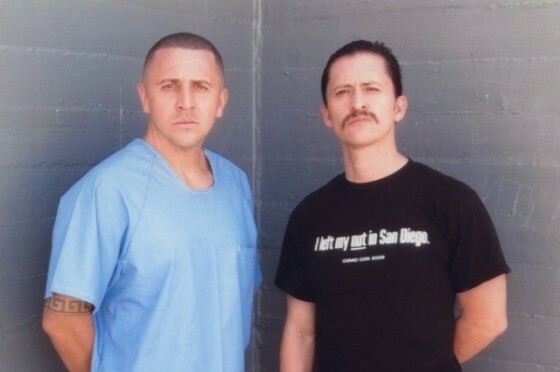 They offered Gustavo (above left, in 2009) a plate of cheesy tacos -- made by another prisoner. They wanted to get to know him -- to figure out if they could trust him or not. And that shared meal was the way they did it. Gustavo, or Goose as he's known, passed that first test with the cheesy tacos. Then his prison education began. They older guys showed him how to make and use weapons. And they taught him how to boil water in his cell using a spliced electrical cord attached to razors (aka a "stinger"). "If it doesn't explode, it will definitely heat up your water," Goose says. 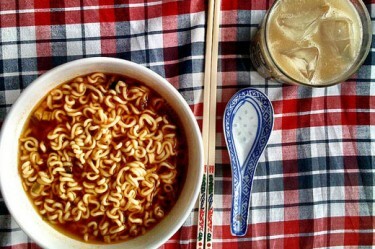 Eventually Goose learned to cook whole meals using the packaged foods he could buy in the commissary (the prison store): instant ramen, mayo, canned tuna, beef jerky. Goose is out of prison now, and he wrote a cookbook, Prison Ramen: Recipes And Stories From Behind Bars. It has some of his favorite recipes from prison -- like a decadent cappuccino-style drink made with coffee and a Milky Way bar (a "Cadillac"). "Anything nice and warm in a rough place gives you some type of comfort," he says. "Ramen did that for me." But instant ramen also saved Goose's life during a prison riot. Listen in to the full episode for that amazing story. And later in the show, we hear from an inmate a San Quentin State Prison -- a former chef who ran a food business from his cell. That story comes to us from our friends at the excellent podcast Ear Hustle, which shares the stories of life inside prison -- produced and cohosted by inmates at San Quentin. 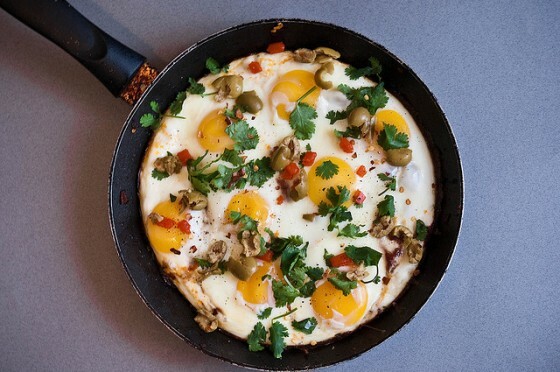 Eggs aren't just a breakfast sidekick. Here are three egg-centric dishes to try at home.